At Keto Heating and Cooling, we know that the overall comfort of your home involves many different components coming together as a system. When talking about home performance, we typically refer to heating and cooling equipment, humidity control, energy efficiency, and air quality. However, many homeowners do not consider a clean water supply when they think of home performance. Here at Keto, we have found that many homeowners in the Boise area are unhappy with the quality of their tap water. Many buy bottled water or use the refrigerator’s filtration system for their drinking water. While this will work, it is not the best method, nor the cheapest way to get the cleanest drinking water. Buying bottled water is not a guarantee of clean water as many of the top bottled water companies fill their bottles with plain tap water, and water filtration systems in a fridge can be both expensive and ineffective due to the replacement costs of the filters. On top of the drinking water issue, bad water can cause a number of other issues such as dry skin, brittle hair, hard water spots in the shower and on dishes, and the need to use more soap than needed in the shower, dishwasher, and washing machine. Again, there are methods that you can buy to take care of the symptoms, but the root cause is still the same, bad water. The best solution is to filter your water before it enters your home and stop treating the symptoms altogether. We have seen many water filtration systems in our 57 years of business. Our customers tell us about their water filtration systems, and they also tell us what they do and don’t like about their current water filtration system. 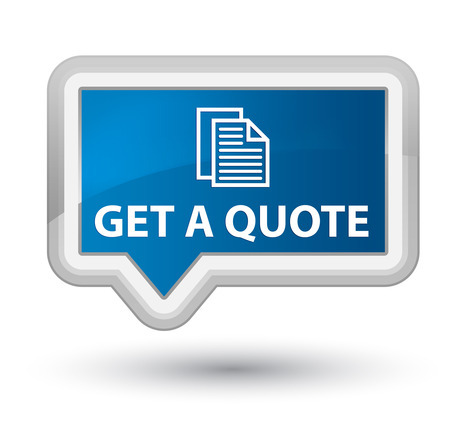 Over the years, we have learned what systems work and what systems don’t, Based off this information we have chosen Krystal Klear Water Systems as our preferred filtration system for our customer’s homes. We believe Krystal Klear to be the best, most cost efficient, water filtration system on the market today. Did we mention Krystal Klear requires no maintenance? As the water comes into the tank, it’s filtered thru our special Dual-Action Mixed Media which reduces (or completely removes) the harmful chemicals hiding in your water. As the water goes thru this media, it creates “channels” where it’s filtered. After the water reaches the bottom of the tank, it travels up through a distributor tube where it’s now sent back into your home’s water supply. Why is this different than other systems? This proprietary blend of Coconut-Shell Granular Activated Carbon along with KDF-55 is unlike anything else on the market today. This Dual-Action blend operates using two different methods: absorption and oxidation. What does the Carbon do? Chlorine, Volatile Organic Compounds (VOC’s), Arsenic, Pesticides, Herbicides, Trihalomethanes, MTBE, Solvents, Chemicals & Poisons that may be hiding in your water through an absorption process. Carbon is widely recognized as one of the best filter medias available. However, most consumers do not realize that there are different types of Carbon including Wood, Peat, Coal, Palm Shell and Coconut Shell. It’s easy to be fooled by cheap carbon block systems. We use the finest grade of Coconut Shell Carbon because of its incredible absorption capability. Just one cup has the absorption power to cover an entire football field of water! What does the KDF do? The KDF-55 filters water differently than Carbon. Instead of absorbing the pollutants, the KDF-55 works on a basic process known as REDOX (oxidation/reduction) principles. This represents a new and unique way of water filtration. The patented KDF media consists of a high purity copper-zinc formulation. These substances exchange electrons or bond with chlorine and other metals contained in the water to create harmless substances. Carbon cannot remove heavy metals because it is an organic media. KDF can remove metals such as Aluminum, Copper, Mercury, Nickel that the Carbon doesn’t. The KDF also serves another essential function: it prevents bacteria from growing in the media. The KDF inhibits bacteria growth (fungi, algae and mold) throughout the entire unit in two ways. The first is a by-product of redox; the exchange of electrons sets up an electrolytic field in which most microorganisms can’t survive. Second, the process of forming hydroxyl radicals and peroxides from some of the water molecules interferes with the microorganisms’ ability to function. 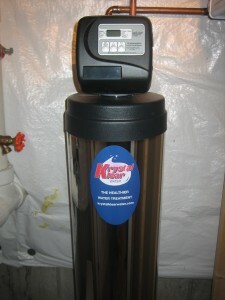 The Krystal Klear Water Filtration System is unlike anything on the market today! Save $25 Off First Service When You Share Us On Facebook! !